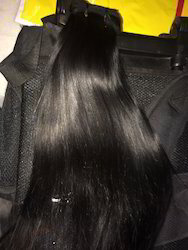 Our range of products include virgin weft hair, bulk raw human hair, human hair extension, straight hair extension, straight human hair extensions and malaysian straight hair. 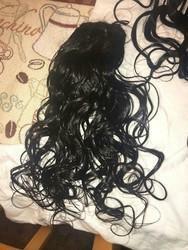 Virgin human hair Size 10 inch to 30 inch, Weight 100 grams, Grade virgin. 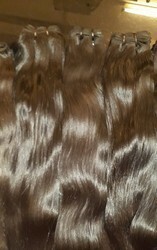 100% human hair Can be straightened or washed or colored. 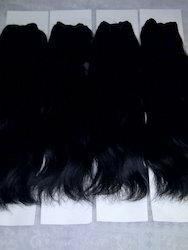 We are the leading supplier of Straight Hair Extension made available to our clients at competitive prices. 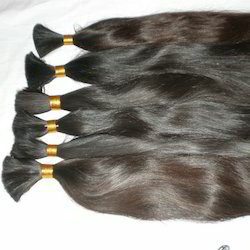 We are recognized amongst the trusted manufacturers and suppliers of Malaysian Straight Hair. 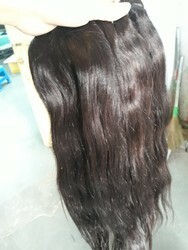 We use excellent quality human hair to manufacture these hairs. These are available with us in different colors, designs, and sizes opening varied options for our customers. In order to ensure great quality to our clients, we test these products before getting delivered. Our clients can avail these products from us at market leading rates. Size: from 8" to 35"
Our firm is capable of providing Straight Bulk Hair. Our honored customers admire our offered product for its characteristics like water resistance, longer life, nature and easy to use. To meet the diverse necessities of our customers, we also provide this product in diverse designs. Furthermore, we offer this product at reasonable rate. 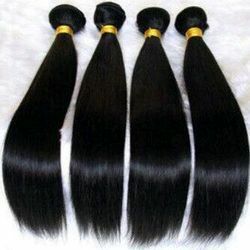 We are offering a wide range of Straight Hair to our clients. 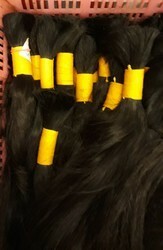 We offer our clients with the qualitative range of Remy Straight Hair Extensions. These are known for impeccable and smooth finishing features. Processed at our highly advanced laboratories, our array of products has been diligently produced by our team workers. The products offered by us are available in different sizes and applications. We are an acclaimed name engaged in offering our precious clients a superior quality range of Straight Weft Hair which is provided in various length and colors. In accordance with the set industry standards, we clean, process and wash this hair by using advance and the latest technology. Being a quality driven firm, we properly check the texture, strength, and shine of this straight hair before delivering at the client’s premises. can be colored easily and you can curl it.